Has a new age of battery storage arrived? Battery storage systems have been attracting significant media attention of late, with the South Australian government’s recent decision to use Tesla technology to develop what it states will be the world’s largest lithium-ion battery generating headlines around the country. 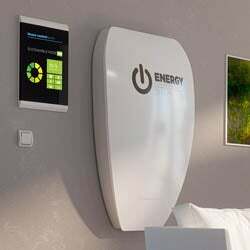 This sort of technology is also associated with residential energy storage units, and Tesla is among the most well-known providers of such units, having been an early mover in markets around the world, including the Australian market, with its Powerwall system. Systems such as Tesla’s Powerwall are designed to integrate with solar panels, storing energy generated during the day, which is then available to use as needed, effectively reducing reliance on the electricity grid and even providing the potential for households to go off-grid completely. The South Australian storage system will work in conjunction with wind power, with it to be paired with French renewable energy company Neoen’s Hornsdale Wind Farm, a 315 MW renewable electricity project consisting of 99 wind turbines. Does the South Australian project herald a new age of battery storage? Certainly, the market in Australia is poised for growth, and many options are becoming available for consumers keen on installing a residential system. Battery storage: Why all the attention? Paired with renewable energy sources, battery storage systems, such as the one being developed in South Australia, storing and delivering power to the grid as it is needed, have the potential to strengthen networks on days when there is no sun or wind. They effectively provide a means for increased reliance on intermittent renewable sources, and this same concept applies for residential battery storage systems, which can help to deliver a more constant power supply. Pairing a residential battery storage system with solar panels is on the surface an attractive proposition for households, especially amid rising electricity prices around the country, however consumers should also keep in mind the initial costs of setting up a system. 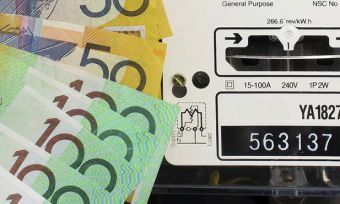 Consumers need to weigh up the short-term costs of installing a battery storage system versus the potential long-term savings that it could deliver, and what may be suitable for one household may not be suitable for another. What is the Tesla South Australian project? In the words of Tesla, the South Australian grid-scale project “will help solve power shortages, reduce intermittencies, and manage summertime peak load to improve the reliability of South Australia’s electrical infrastructure”. The project, which is set to be completed by December, will see Tesla install a 100 MW/129 MWh Powerpack system, which will be paired with Neoen’s Hornsdale Wind Farm, near Jamestown in South Australia. Tesla states that it “will be the largest lithium-ion battery storage project in the world and will provide enough power for more than 30,000 homes”. Battery storage to change the way we consume power? The momentum around battery technology is tangible, with a number of companies now jostling for position in the emerging market, and the race is on to further develop the technology and provide consumers further motivation to install systems. Australia is a logical destination for battery companies, given the widespread use of household solar systems, with the Australian Bureau of Statistics having previously found that around 14 per cent of households have solar panels for electricity generation. Research firm IHS Technology has previously forecast that approximately 30,000 Australian households will have solar photovoltaic energy storage systems by 2018, growing from less than 500 installations at the end of 2015. The development of the South Australian energy storage system has certainly brought further attention to the industry, with Tesla stating that it expects it “will provide a model for future deployments around the world”. The case for residential battery storage systems is certainly becoming more compelling, and for households considering installing a unit it will be worthwhile keeping an eye on the market in the coming years.